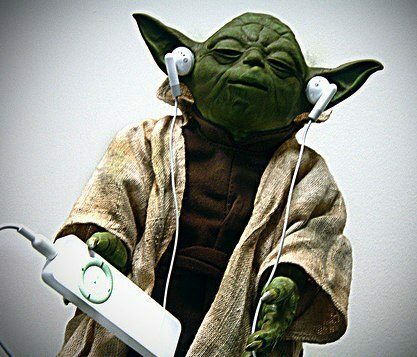 Yoda said “Do or Do Not. There is No Try.” When it comes to social media at least, the little green guy is full of it. If you accept the fundamental premise that social media’s power lies in its ability to change the nature of relationships from brand>>customer to brand<>customer, then the outcome of your social media efforts is less important than the existence of the effort. Sure, there have been some corporate missteps in the relatively brief history of social media. But, most of those have been due either to overreaching, or acting before listening. I cannot think of one example of a social media program that focuses on engagement with customers that has not been successful. And why wouldn’t it be? Ongoing social media programs that emphasize customer interaction are always a net positive (as opposed to social media marketing programs that are more promotional in nature). Sensitive, intelligent social media outreach isn’t all that complicated. It’s customer service with a human face in a timely, public forum. And the fact that you’re even trying to help your audience understand and benefit from your products and services is what counts, not whether you have the perfect Facebook page or the ideal monthly ROI spreadsheet. Your company has a phone. Your company has a Web site. Your company has an email address. Now, your company has a blog/facebook page/Twitter account. Don’t overcomplicate it. Be genuinely helpful and your customers will appreciate you more than if you weren’t. They say that close only counts in horseshoes and hand grenades. I’d like to add social media to that list.